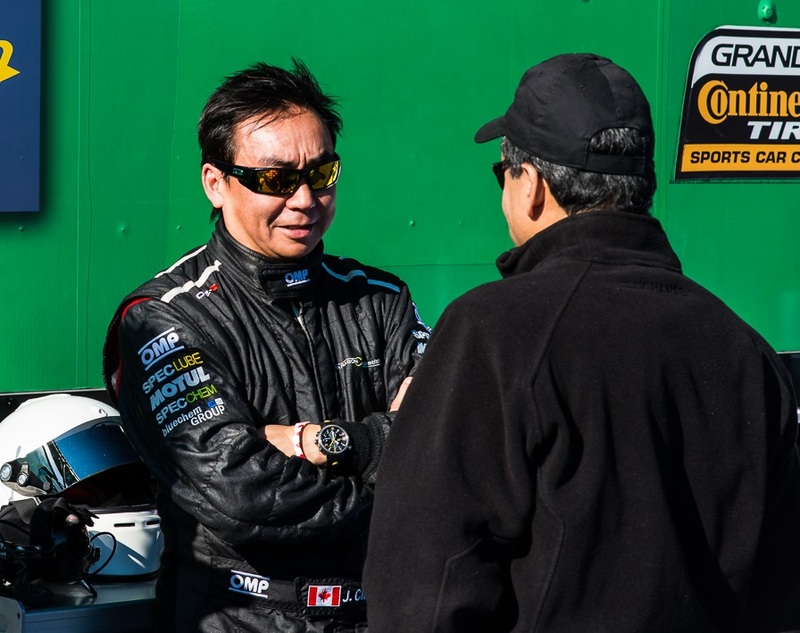 Joe Chan was recently profiled in an online magazine article which enumerated the many different steps involved in becoming a professional race car driver. Eligible Magazine: How To Be A Professional Race Car Driver lists four distinct phases of career development with the last being the most difficult – finding sponsors. Getting an education and wining races is easy compared to finding money to keep racing. Joe is fortunate to have a racing parts business and has made himself an industry insider becoming a Spec Lube distributor and Bluechem Canada Fuel System Cleaner supplier to the consumer market. Joe Chan of Paragon Competition is the poster child for the everyman Canadian race car driver. He’s won a few titles over the years, but doesn’t consider himself a professional driver, not anymore. He’s a road racer, and specialty automotive parts entrepreneur. Motorsport has a natural association with vehicle makers and fuel companies. Unlike other racing sports this activity is totally dependent on multinational corporations to make and service the cars. The best drivers are sought out by car companies to race their fastest vehicles because automakers like the association and the publicity of being part of a winning team. Auto racing is kind of an ultimate test arena for parts, tires, lube and fuel. Bluechem’s synthetic fuel system cleaner penetrates and cleans injectors, carburetors, intake valves and combustion chambers to reduce carbon emissions and yield better gas mileage. The Paragon Racing team would however only use the sponsor’s product to do a fuel system cleaning treatment to the car engine after the race, or while preparing for the next one, as most races are very strict about fuel additives on race day. 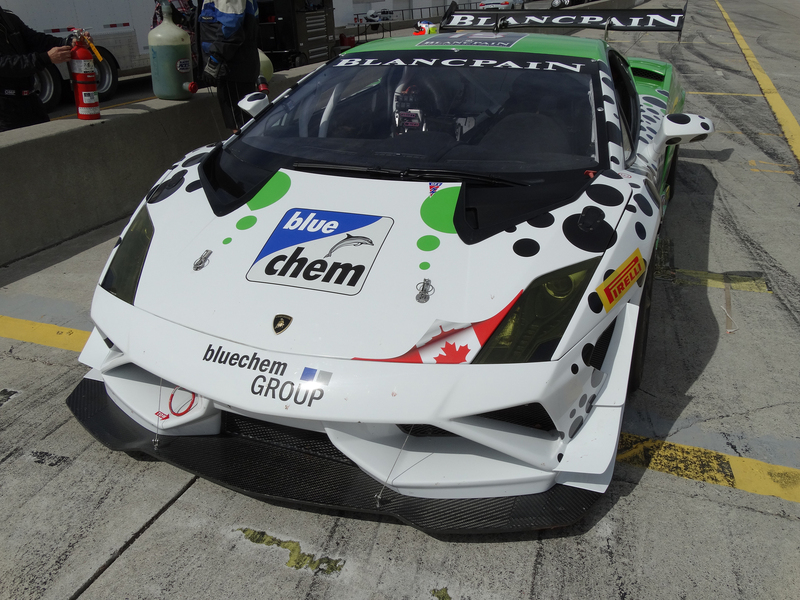 Yet their logo on the car makes it possible for Joe to pay his staff and race this season, and May 3rd 2015 he was at Laguna Seca in California competing in the IMSA Lamborghini Blancpain Super Trofeo in the very car seen above, provided by Grand Touring Automobiles in Toronto, another generous sponsor. A blog post on the Auto Loan Solutions blog in April listed Bluechem fuel system cleaner as a ‘forgotten car fix’ that could lead to increased fuel savings and less vehicle maintenance down the road. Joe Chan racing in his Bluechem emblazoned Lamborghini serve to remind society of the perpetual quest for automotive excellence, and the scientists, engineers and even the race car drivers who work to continuously improve vehicular transport and make it safer, cleaner and more efficient for the rest of us. This entry was posted in Business, Canada, environmental issues and tagged Bluechem Canada, Eligible Magazine, fuel system cleaner, Joe Chan, Paragon Competition, race car driver. Bookmark the permalink.